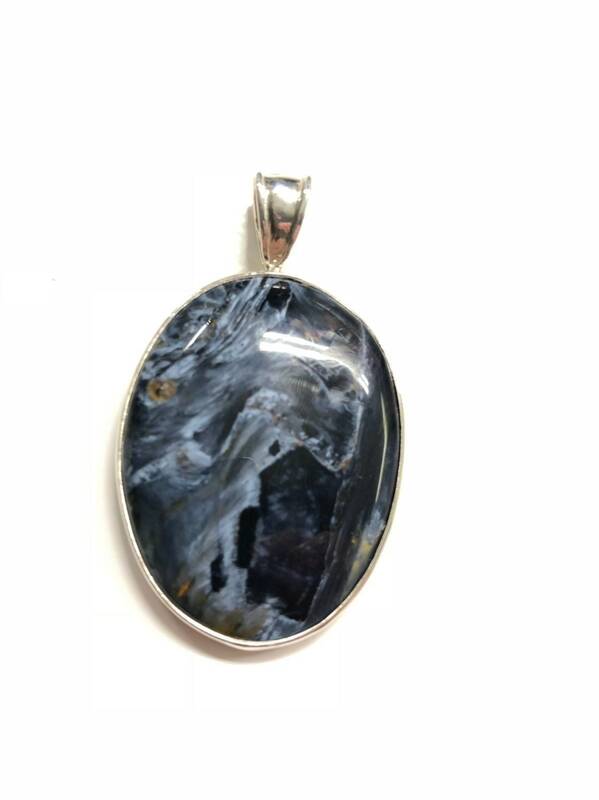 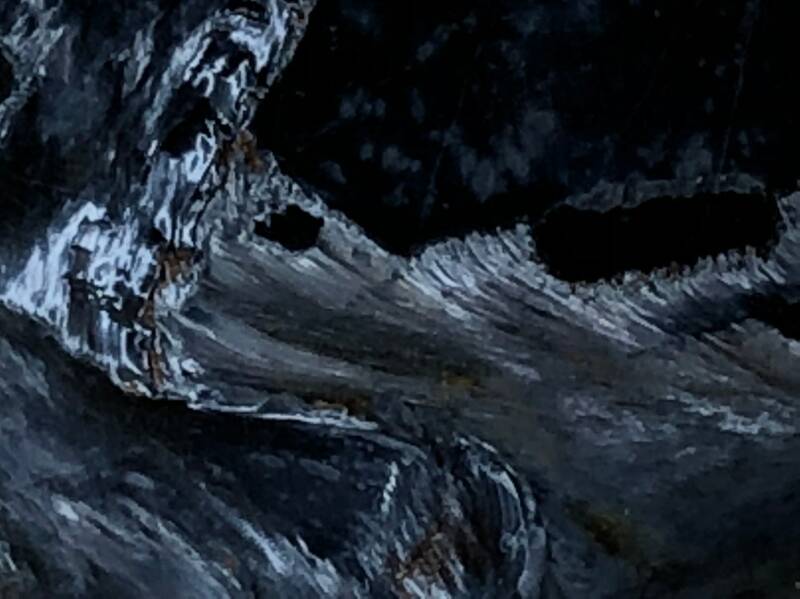 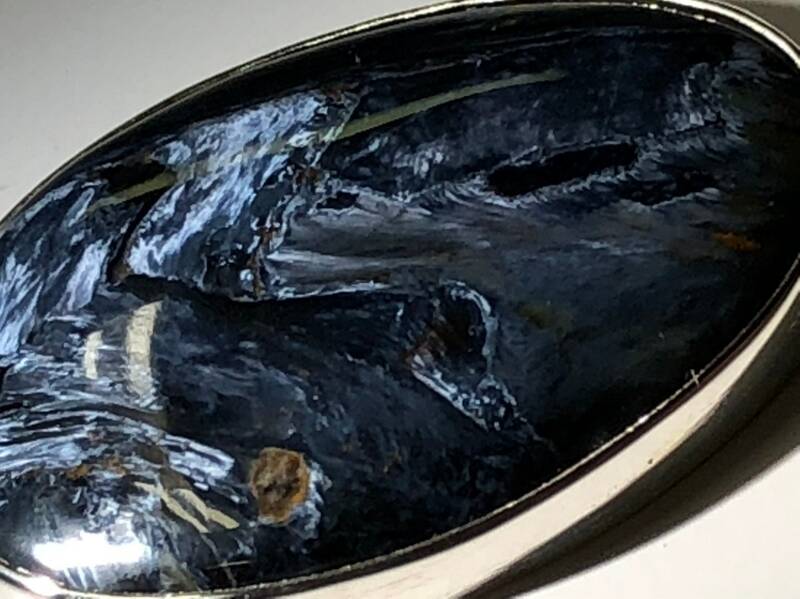 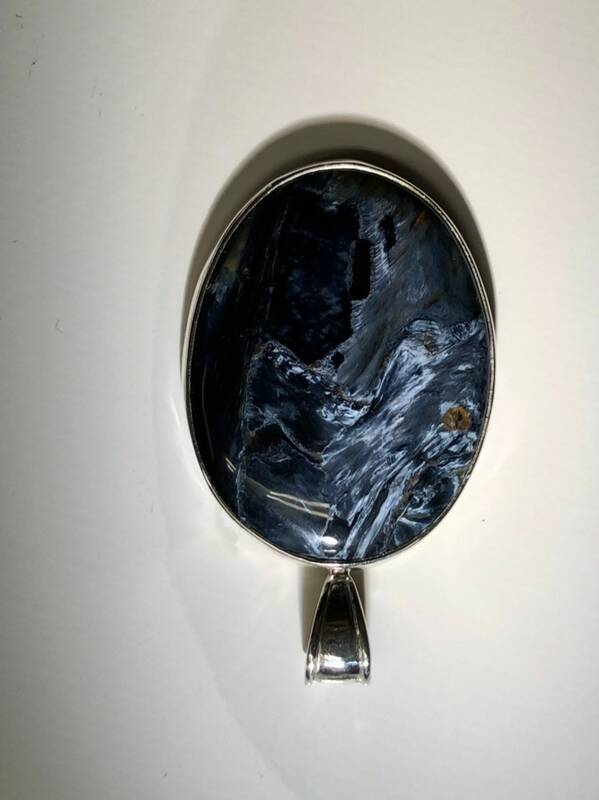 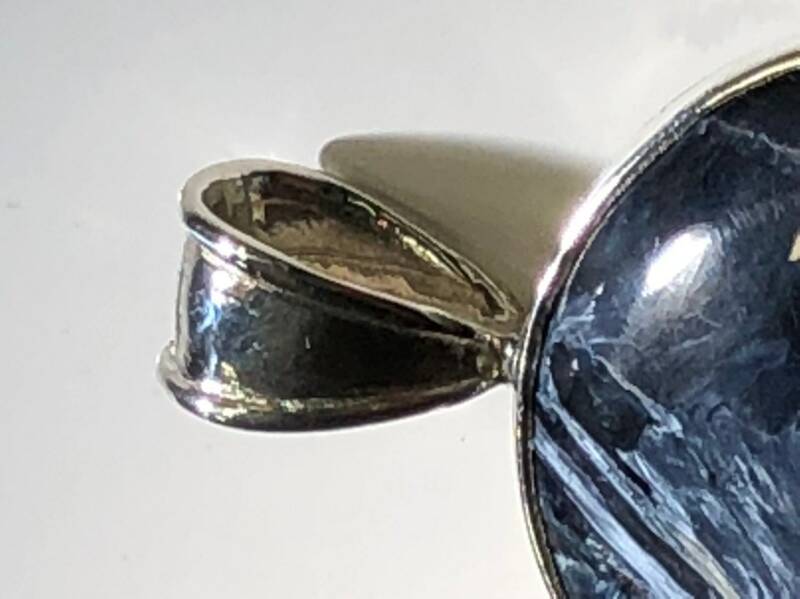 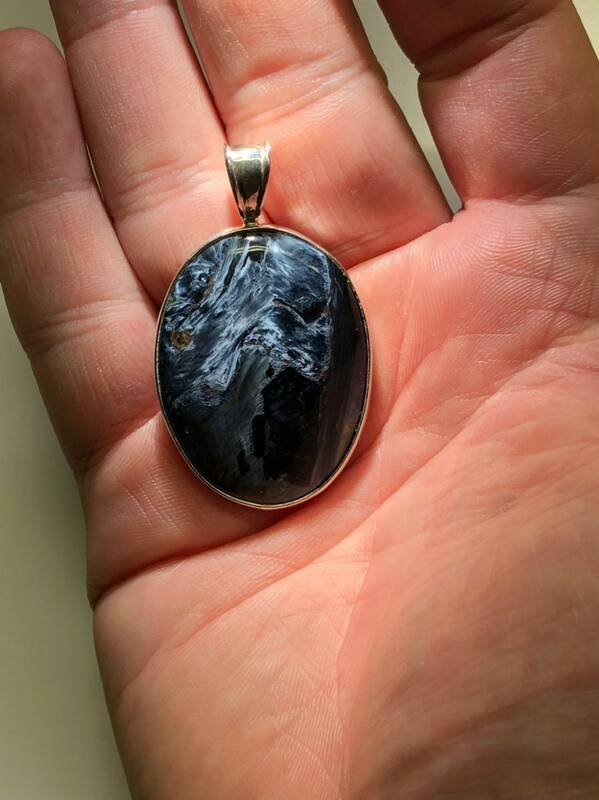 This pendant was designed in house in 2018 and produced by our stonecutter, Justin, who carved and stabilized the gorgeous blue chatoyant pietersite cabochon from a natural stone at his bench in Washington state. 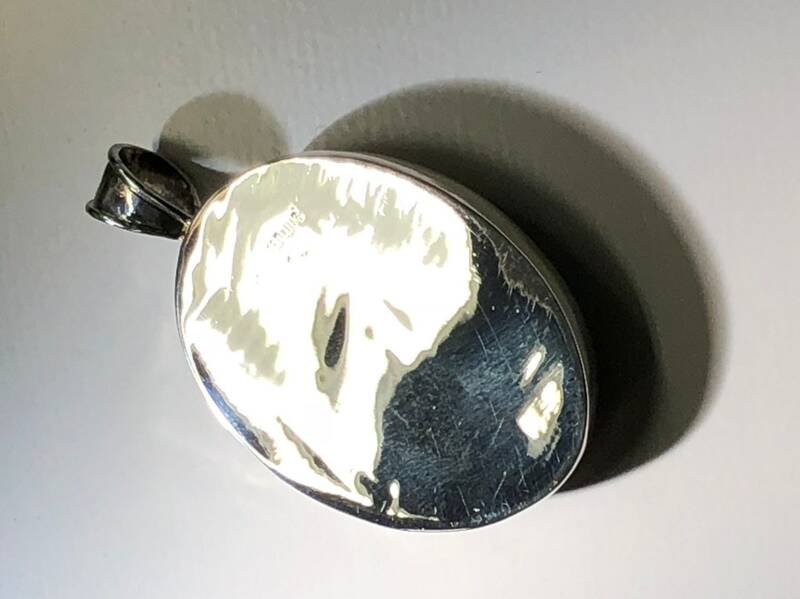 Set in heavy sterling silver with a solid silver back. 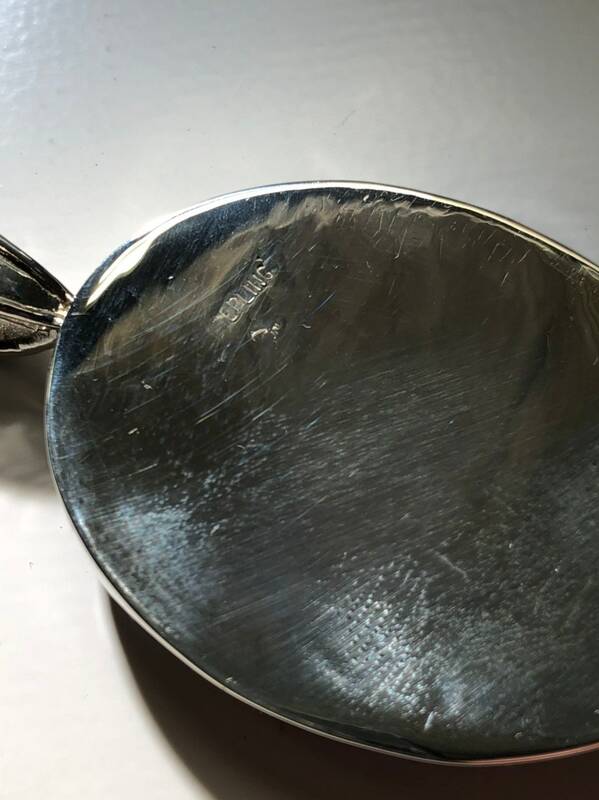 Piece has a harmonious total gram weight of 18.6 grams. 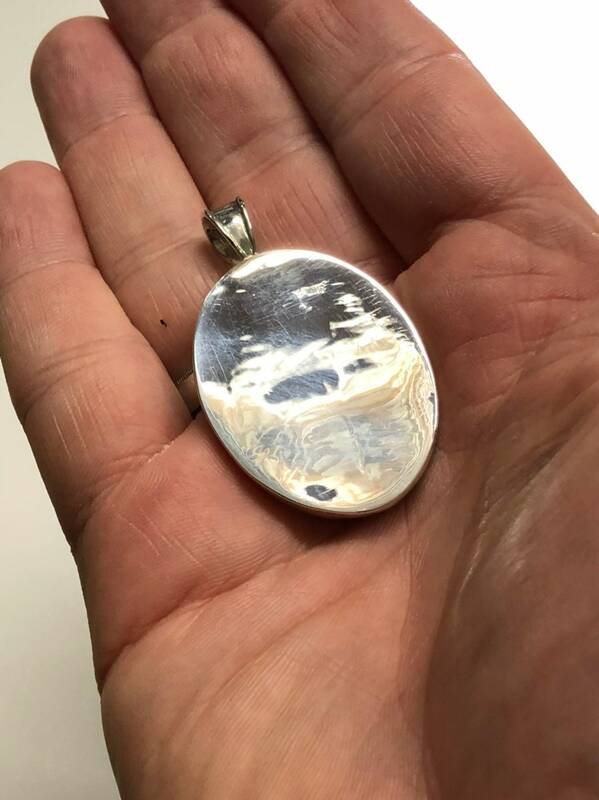 Dimensions: 30mm x 50mm (with the bail).